More than 80 percent of South Koreans support the idea of “dignified death” -- meaning they do not wish to receive life-prolonging treatment should they become terminally ill without the possibility of medical treatment curing their illness or relieving pain -- according to a newly released study. The study by Seoul National University Hospital researchers came to the conclusion after surveying 1,241 members of the general public, 1,000 cancer patients, 928 medical doctors as well as 1,000 Koreans with family members with cancer. The study also found that nearly 30 percent of the surveyed Koreans support the idea of physician-assisted suicide, in which a doctor provides lethal drugs to terminally ill patients who wish to end their suffering. 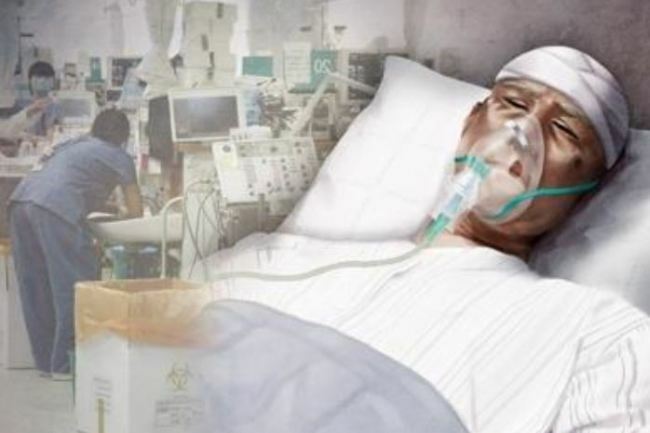 Physician-assisted suicide is illegal in Korea. The general population had the highest proportion of those who agreed with the idea of assisted suicide -- 35.9 percent -- followed by the cancer patients (29.7 percent), the doctors (27.3 percent) and the family members of cancer patients (25.7 percent). The study also found that more than 80 percent of all surveyed support the idea of pain management programs for terminally ill cancer patients, even if it involves heavy use of opioids and the subsequent side effects, including addiction. In the survey, 98.9 percent of the doctors supported the idea of the active use of opioids as a means of pain management for terminally ill patients. At the same time, 88.5 percent of the cancer patients, 92.5 percent of those with family members with cancer, and 83.1 percent of the general public thought the same. Koreans are prescribed less than 47 percent of the opiate dosage level that the WHO considers adequate for chronic pain relief.